No Minimum Quantity: 1 @ $6.95/ea. 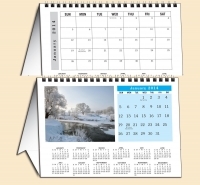 2019 or 2020 Scenic America Desk Tent Calendar Scenic America Photo Tent Desk Calendar: This great calendar folds up on your desk and makes for a small desktop calendar that takes very little space. 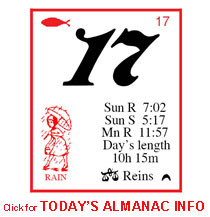 The calendar features 12 stock scenic pictures with a line of description for each. Shipping Costs: $3.95 for 1 or proceed to checkout for shipping quotes. Ad copy size: 1" x 5"